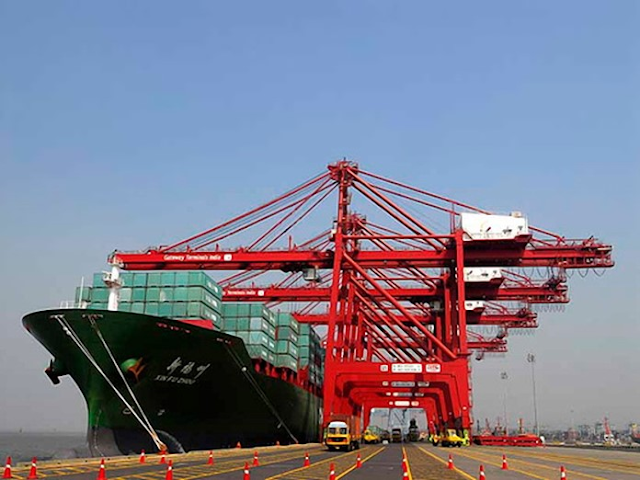 TheJawaharlal Nehru Port Trust (JNPT), India’s premiere container portgot listed amongst the top 30 container ports globally, as per the latest Lloyds Report. JNPT notched up five spots, to be 28th on the list, compared to its previous ranking.This is a validation of all the efforts and strategic initiatives being implemented at JNPT in order to enhance overall port efficiency. Various new processes activated under the ‘ease of doing business’ initiative have not only helped in overall growth of the port business, but also allowed the EXIM trade to save time and cost which in turn have accentuated the growth story. Gaining operational efficiency is an on-going process and looking for solutions to better services so that the EXIM trade community benefits from it. The JNPT also launched their App service to facilitate better tracking of consignment and ease the trade process for their EXIM partners. The App will allow traders to access all the relevant information about their consignment and port related updates regarding traffic and weather, on their fingertips. The App will keep updating the relevant information at regular intervals, so that traders are abreast with the latest updates. The App will be available on Android and iOS.The app was launched by the Chairman, JNPT in presence of the stakeholders. The Chairman requested all stakeholders to use the app and share their feedback and recommendations regularly, so that the app can be upgraded as per the demand of the EXIM community. Looking ahead, JNPT is already on a major expansion drive, with some key projects like, on-going project work on the mega 4th Terminal, developing a centralized Parking Plaza, improving the port connecting roads and widening of Highways and development of Coastal Berth. The Port is also implementing, specific processes at the operational level to make it standardized and more efficient across terminals, among many other initiatives in the pipeline. India is gaining precedence as a favourable trade destination and initiatives at JNPT has been credited for helping India leverage its position in the World Bank Ranking in trading across the borders, from 146 to 80, a jump of 66 points. JNPT closed 2018 on a high note crossing the 5 Million TEUs traffic milestone and in December 2018 alone JNPT handled 4.45 Lakh TEUs which again is the highest volume of container handled recorded in a single month, at the port.